I know I’ve not been the fastest person to post on the insane Cult Beauty 10th Birthday box, but I did want to give things a proper go instead of purely showing you what’s inside, because I’ve already done that on Instagram. Obviously I've tried some of these products more than others but at the same time; I didn't want to delay this forever! I also was sent a few of their new releases and treated myself to something with my birthday discount, so wanted to include those in this post too! 2008: The Original BeautyBlender* | £17 | We're kicking off this little journey through Cult Beauty's 10 years of classic products with something I've been through god-knows-how-many of and have god-knows-how-many backups of! I've done an entire post dedicated to the wonders of the Beauty Blender and I still don't think its imitations come close. There's something about the flexible, bouncy material of this makeup sponge that can't be duplicated. I personally use it damp to get a flawless, even application of both foundation and concealer. I reach for it every single day I'm wearing makeup, without fail! 2009: Escentric Molecules Molecule 01* | £46 | This is one of those products I've heard SO much about but have never come across in-store anywhere so had never tried it, however I've always been intrigued. It's famously difficult to place and contains just one note. It has a kind of unisex vibe and reportedly smells different on everyone. It's not my favourite scent of all time because it's subtle by nature (and by that, I don't mean that the fragrance intensity is weak, because it isn't and it actually stays noticeable throughout the day) however it's one I've been reaching for quite a bit. If you're interested in the concept then this little mini is a good way to test out the scent and see if it's for you. 2010: Moa the Green Balm* | £15 | This is a 100% natural product made here in the UK that's actually very affordable compared to a lot of the luxury skincare available on Cult Beauty. It's one of those multi-purpose balm products that I tend to use on dry patches of skin (whether they're on my face or my body), though it can be used as a treatment for skin conditions and also a cleansing balm (which I haven't tried but I will give it a go and let you know if it does it for me!) It hasn't blown my mind, to be honest; it's nice enough but not a must-have in my collection. 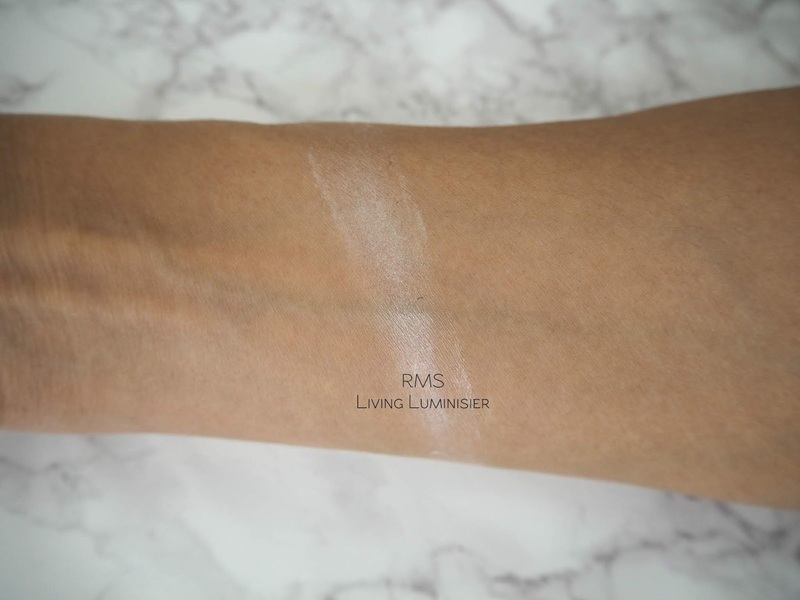 2011: RMS Living Luminiser* | £36 | I have to be honest and say I don't think this product is for me! It's quite a sheer, glossy cream highlighter that does thin out and look a bit shiny on my combination skin. I feel like on someone else you'd get that 'Glossier cool girl' vibe but it just didn't work out for me. This also only comes in one colour - a white iridescent pearl tone, which isn't really my thing. 2012: Alpha H Liquid Gold* | £33.50 | This glycolic acid toner probably won't be great for sensitive skin but it works really well for me. There's a bit of a sensation, as it's probably the strongest acid exfoliant I have in my collection, but it seriously works! It removes dead skin cells and helps improve the appearance of discolouration and uneven skin tones as well as giving that instant glow boost. 2013: Anastasia Beverly Hills Brow Wiz in Ebony* | £22 | This is another product I go waaaay back with! I usually get Granite, however Ebony is very similar - just a touch warmer (which I think I actually prefer) - so if you also have very dark brown hair it will likely work for you too. I'd kind of forgotten that this is probably my all-time favourite brow product... You know when your brows just aren't working out? Even when I'm in one of those ruts: this does the job for me! 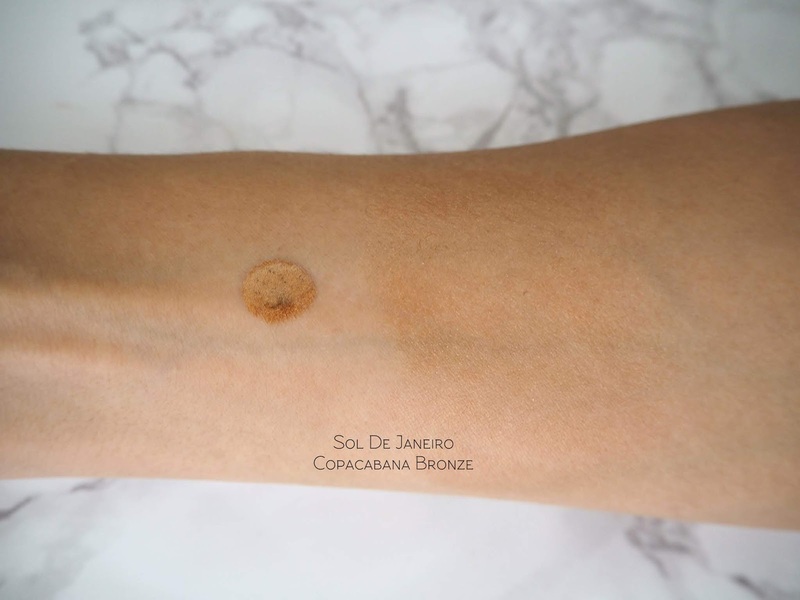 The consistency is a perfect balance between being waxy and long-lasting but still giving natural pigmentation. I like the fine pencil that twists up so it's never blunt and there's no need for a sharpener. The one thing I don't like about this product is that without fail, the spooly always breaks off! 2014: Anastasia Beverly Hills Dipbrow Pomade in Ebony* | £19 | This is a bit of an old favourite of mine! Despite its reputation, you can get a pretty natural look with this pomade - I use it with a very small, fine eyeliner brush so I can softly draw in each individual brow hair. However if 'Instagram brows' are your thing; you can also get that sort of look with it. What I love about this is how long-wearing and smudge-proof it is! 2015: Oskia Renaissance Cleansing Gel* | £31 | I've been on a bit a journey with this product; when I first picked it up (I'm pretty sure I was still a broke uni student at the time!) I didn't understand what was so life-changing about it. It took me several repurchases to realise that its simplicity is its appeal. This contains gentle fruit enzymes to give your skin a glow-boost without being at all harsh. You apply this to dry skin and it goes on as a gel (I like to take a moment to really massage it in) but emulsifies on contact with water. It leaves my skin looking fresh and feeling clean. I know some people use this as a makeup remover - I personally don't get that at all, because the one time I tried this it burnt my eyes like crazy and wasn't even effective! For me, this is a morning product to refresh my skin, ready for the day. 2016: Huda Beauty Liquid Matte in Icon* | £18 | If you read my blog regularly, you'll probably know what a fan I am of these liquid lipsticks. I'm not as much of a matte liquid lipstick obsessive as I was circa 2016, but this is one of those formulas that I still get excited about. All of the shades I've had so far have been nudes, so I was interested to see how a bolder colour would perform. Icon is a warm plummy-rosy colour that I've already got earmarked as a go-to for autumn. It still goes on very evenly and opaquely. The very fluid formula sets down and is easy to reapply and never flakes or looks uneven. Whilst this does still last well on me, the fade is definitely more obvious with this colour. 2017: Huda Beauty Rose Gold Remastered Palette* | £56 | As I mentioned on Instagram, I definitely want to do a follow-up post on this palette (I think that will be a 'which do you need?' against the Desert Dusk) so I'll just do a little overview here. I do really like this palette, though I understand people's misgivings on it. 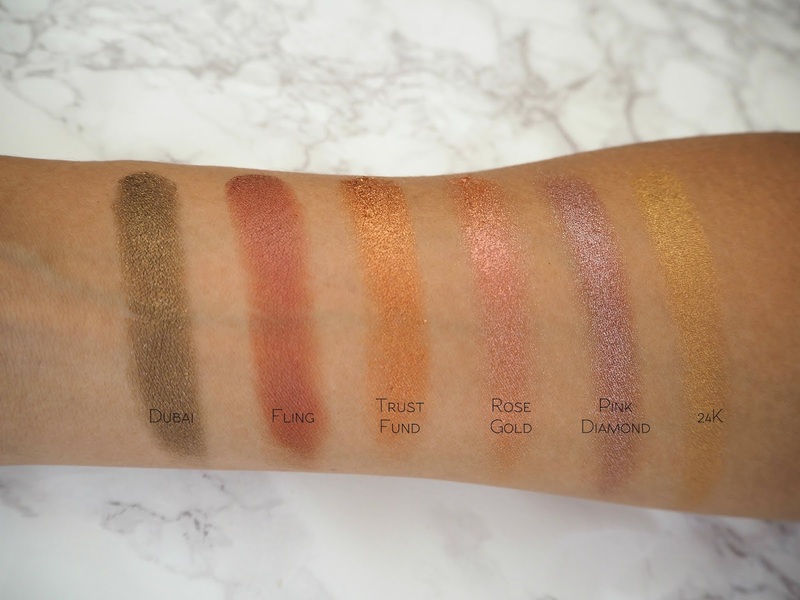 Huda launched the Rose Gold palette to mixed reviews a couple of years ago - she raved about the formula at the time and it was pretty pricey. However now she's come out to say the quality hadn't been what she'd wanted. I never bought the original, however I don't think I'd be very impressed with all of this if I had! 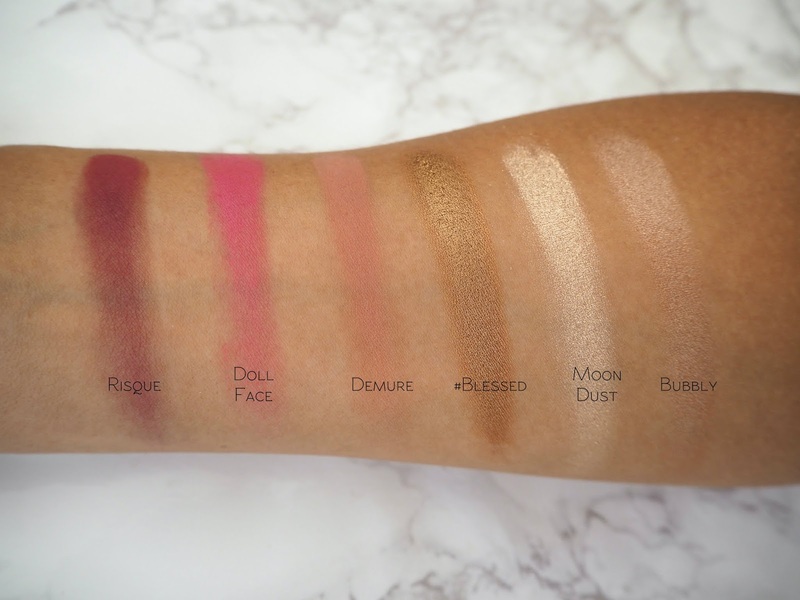 I thought this had been reformulated from its 'textured' form to be more like the better-received Desert Dusk, however it seems a third Huda eyeshadow formulation has actually been introduced. 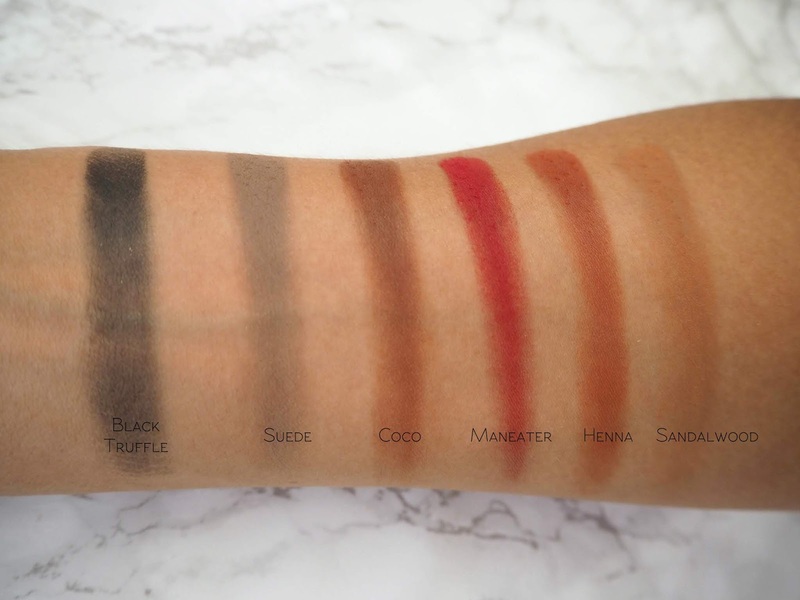 The mattes are very similar to those in the Desert Dusk; that sort of very pigmented formula that is slightly drier but blends really nicely. There are a couple of normal soft, sheeny shimmers but the stars of the show are these super-dewy metallics. A lot of people have noticed that the pans do have a slight dip in them - the ladies over at Beauty News actually got to the bottom of this in one of their makeup destruction videos by revealing that the pans themselves have a dip in them for this finish only, which may be to hold the shadow properly in the pan. Some people weren't too fond of how you have to apply the original with your fingers, and if you were one of them; sorry to disappoint but I find the same thing still stands with these metallics! They go on with stunning, full pigmentation when patted on with the fingers and don't translate so well with brushes (I still want to try a few different types of brushes with them though). I love this colour scheme; I don't have much in the way of pinks in my collection and this ties them in with the more usual 'me' tones (like the golds and coppers). These shadows last incredibly well on me; not only being visible by the end of the day but still looking gorgeously defined, as opposed to muddying together. Travel Makeup Bag* | £18 | I was also sent the 10th anniversary edition of the Cult Beauty makeup bag (unfortunately this version is no longer available). I already bought the plain one a little while back and love it so much! It's not expensive, looks stylish (kind of like the Anya Hindmarch ones) and you can see exactly what's in there. It's also pretty much the perfect size for a weekend away and I often use it for skincare. 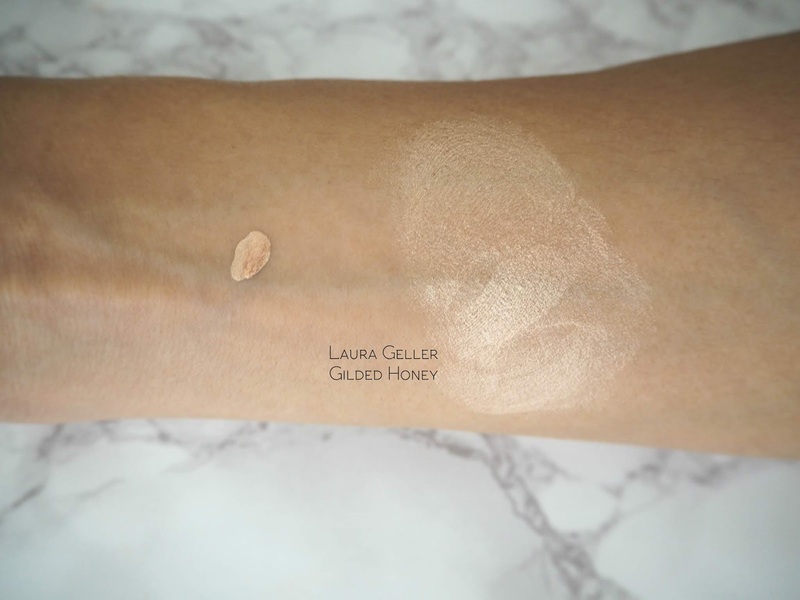 Laura Geller Dewdreamer Illuminating Drops in Gilded Honey* | £21 | I'm so glad I was sent this product because I probably wouldn't have picked it up myself but I've fallen head over heels for it! They're definitely on the more affordable side when it comes to these highlighting drop formulas and I love the more watery consistency, as it just gives a subtle luminosity to the skin. One thing that's a bit of a shame is that this is the deepest colour in the range - I really hope they release more tones so I can recommend this product more widely! What I love about these drops it that they're a true light gold without the silvery shift so many of these products seem to have. I tend to mix this in with my foundation to get a subtle golden glow. 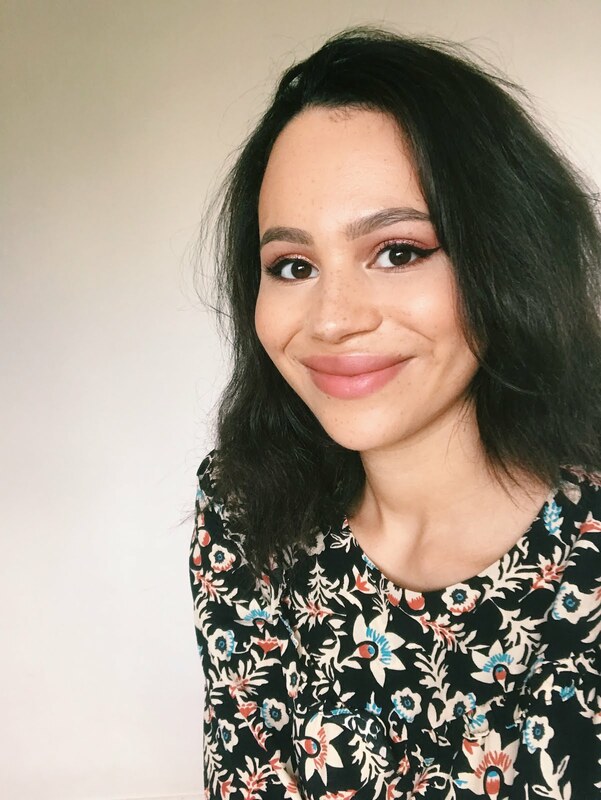 Hourglass Arch Brow Sculpting Pencil in Dark Brunette* | £29 | I have actually already tried and loved this brow pencil, though I have to say that this deeper, cooler tone suits me better than Warm Brunette, which I had been using before. This is great if you want a bit of a bolder, full brow look with minimal effort. I don't always have the time to faff around with a pomade and brush, and for those days; this is great. I really like the level of pigment the pencil gives and the spooly doesn't break! The angled pencil really aids in easily shaping my brows and I find this formula nice and long-lasting. Disciple Discovery Kit* | £17 | I was so happy to receive this set as I'd actually wanted to pick up some products from this brand with my birthday discount when they first landed on Cult Beauty. In here you get two mini versions of their oils - Good Skin is meant to be for the daytime and Dreamy Skin to be used overnight, however I used both of them overnight (and on lazy days when I've had no makeup on) because I have combination skin and the summer hasn't helped my shine issues. You don't get loads of product (I'm almost 1/3 of the way through Dreamy Skin) but it's a great way to try the products before picking up the full-sized versions. Good Skin is made of essential oils and prebiotics to combat breakouts and make your complexion nice and clear. I've really been enjoying this product and I reach for it before bed when I'm having a breakout to calm things down - it's been helping my skin stay nice and clear whilst keeping it hydrated. Dreamy Skin is my personal standout, though! It contains rosehip and retinol, which are two of my favourite ingredients in skincare. Together, they're an amazing combination - my skin looks smooth, hydrated and the tone is nice and even. I will definitely continue using this every other night, as I have been recently, and might get the full size of it if I can finish up some other oils I have open. Disciple Balancing Face Mist* | £12 | Unfortunately I managed to miss this out of my photos - d'oh! It contains some impressive ingredients for its price-point, including copper peptides. I like how the mist comes out and it isn't sticky or tacky on my skin. I like to give my face a liberal misting with this in the morning after cleansing and before applying my serum. It has a lovely calming effect on the skin (which also makes it great if you've just used a bit of an intense treatment) as well as giving some much-needed moisture that lasts. Ra Oils Rose Mist* | £35 | This isn't a brand I've come across before but the bottle definitely feels very weighty and premium. This is 100% organic rose water, which I'm sure is of the highest quality, however it does feel like a lot of money for this type of product. I think this was only underlined after I started using the Disciple one, I just prefer that one and it's cheaper - a no-brainer really! Obviously you get a lot more product in this bottle and I do like it, however it's more of a nice boost of hydration which I think can be achieved at a lower cost. Tweezerman Bright Complexion Facial Dermaplaner* | £33 (currently reduced to £23) | I have to start this off by saying that I LIVE for Tweezerman tweezers! However this was a bit of a dud for me - I used it 1-2 times a week over several weeks and just didn't notice a significant difference. It has these little 'teeth' which are supposed to remove dead skin cells and any peach fuzz (I suppose it does the latter well enough, but I've never been that bothered by a bit of fluff!) I'd just rather use my favourite AHA products from REN, Pixi and Peter Thomas Roth to exfoliate because they give me instant, amazing results. 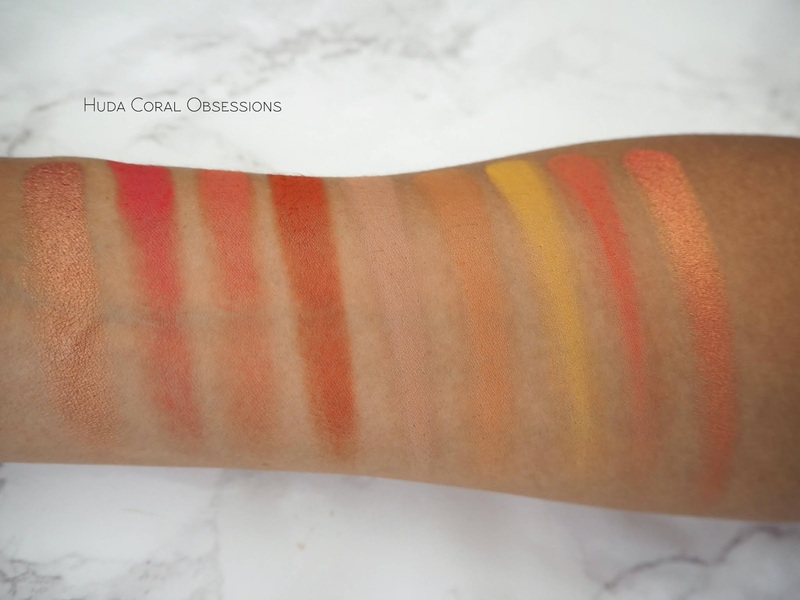 Huda Coral Obsessions Eyeshadow Palette | £25 | I didn't need this. I really didn't. However... after using the Rose Gold Remastered palette, I really felt like adding some more pinky tones to my eyeshadow collection and this seemed like a good way of doing that without going too far out of my comfort zone. I really like these mini palettes - you get to try the formula without breaking the bank and they all have very cohesive colour stories. 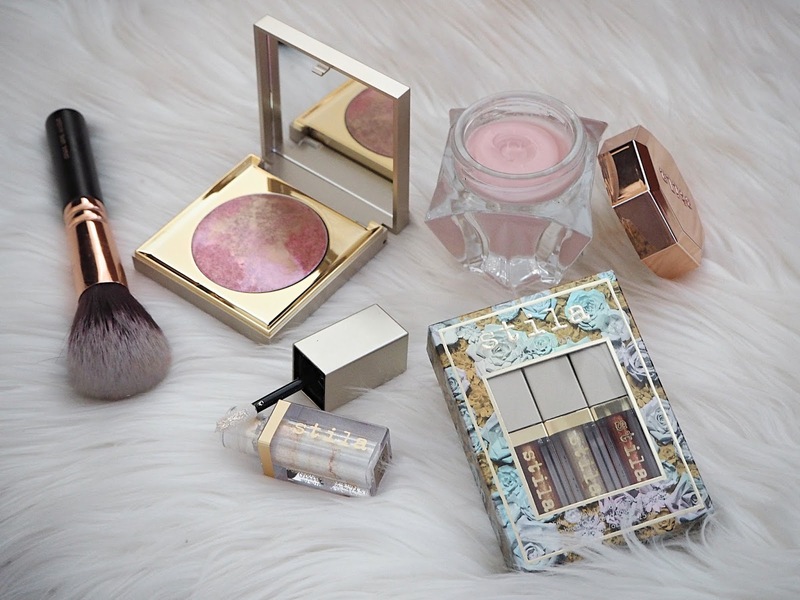 This is a gorgeous selection of shades for summer and I use every single colour in here! If I have one criticism it would be that the two shimmery coral lid colours are very similar once applied (one is a shade warmer, whereas the other is a touch cooler in tone). I love these mattes - they're consistent with my Warm Brown Obsessions and fairly similar to the full-sized palettes. 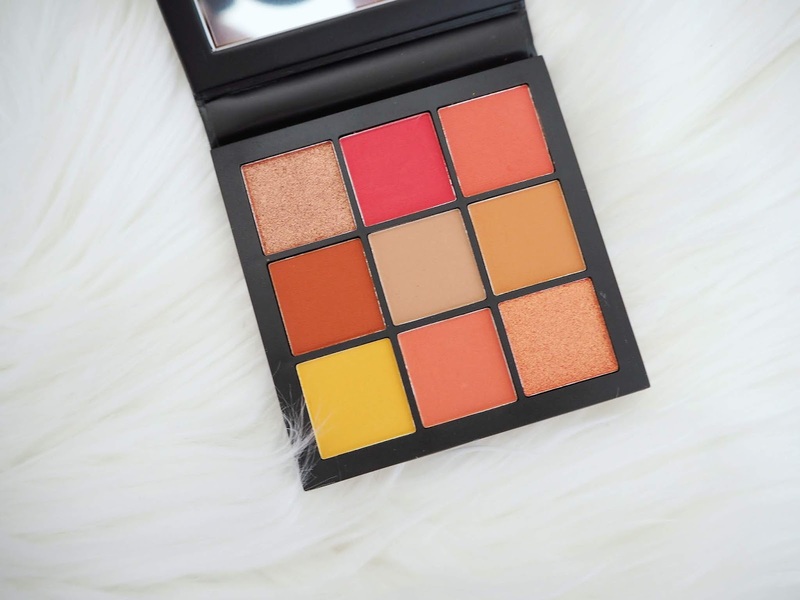 I find them to be creamier than the full-sized palette mattes, easy to blend and they go on nice and evenly (I do get a touch of fallout though). I haven't come across a dud in here - even the yellow is great. The shimmers are pretty standard and aren't like those super-metallic ones in the Rose Gold Remastered. Overall they last really well and I'm enjoying the looks I'm creating with these colours. 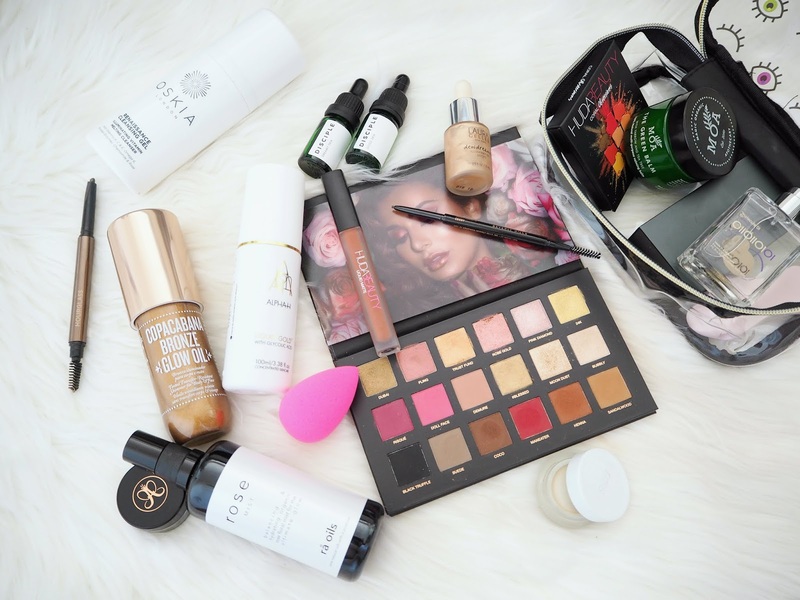 Have you picked up anything from Cult Beauty recently, or what's on your wish list?